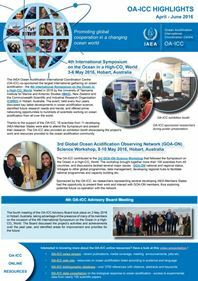 Most studies designed to assess the effects of ocean acidification take place in coastal and intertidal environments, which are characterized by a great variability of its physical and chemical parameters. However, a great number of these studies use fixed pH levels predicted for the future, disregarding natural pH oscillations. In this work we studied the pH oscillations and primary productivity of intertidal rockpools in two rocky shore areas. To provide high resolution continuous pH data we used an autonomous pH measuring system which consisted of a pH sensor, a data logger and a battery encased in a waterproof container. Oxygen concentration and primary production from phytoplankton and macro- phytobentos were also measured. We found a range of pH variation in the pools of 0.07 pH units/day when water dynamics was high and of 0.26 pH units/day when conditions were more stable. Carbonate systems parameters, temperature and oxygen concentration were related and they responded to the day / night cycle and hydrodynamic conditions. 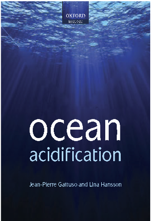 We suggest that these natural oscillations in pH and temperature must be taken into account in ocean acidifications studies in order to obtain more accurate results. Diaz C. A. H. & Hernández J. C., 2019. Varying conditions in intertidal pools: high resolution pH dynamics and primary production. Scientia Insularum 1: 123-138. Article.